The popular $30/month 6GB data plan is back once again at Rogers. This seems to be a running promo that continues to come back – they might as well just make it permanent deal. This is available to new and existing customers, but in order to get in on this you’ll need to sign a 3-year contract and get a voice plan. 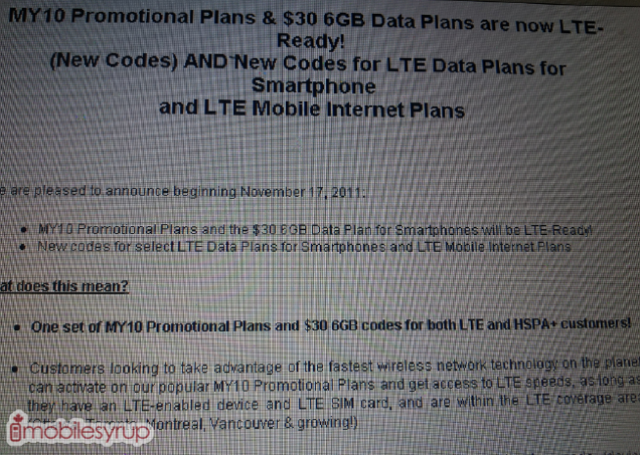 Even though Rogers currently has an LTE promo happening ($50/month for 10 GB), this time they’re extending the 6GB promo to LTE devices and for those who want to “to take advantage of the fastest wireless network technology on the planet”. Boom.